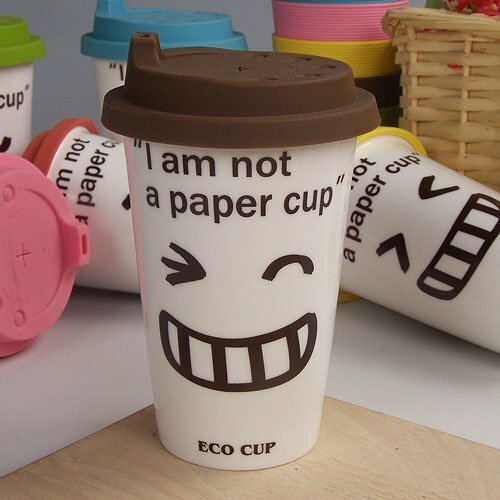 Green your caffeine fix with an Eco-Cup! I am now a true believer of “ask and you shall receive”. Be it the Law of Attraction, the Powers of Manifestation, or just total, immense trust in a Divine plan, things that I’ve been requesting (either out loud or silently) come to me almost effortlessly and easily. Case in point, I have to admit that I need either a rich cup of coffee or my favorite earl grey with chai syrup and soy milk fix once a week (sometimes twice) and I even bought and personalized a tumbler from the coffee chain I frequent. 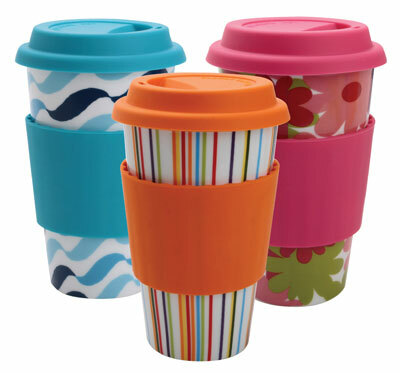 Not only did this purchase give me a small discount every time I indulged in a piping out beverage, but I had a sense that I was scoring one for the environment by bringing in my own little tumbler. As I have been moving around, I sometimes leave my tumbler in my house or my office-not a really good way to start the day when you realize your favorite tumbler is not really within arms reach. So, what did I decide to do? I decided to get another tumbler, but this time, the plan was to have someone give it to me. I posted on FB and Twitter “I really love my personalized tumbler, I wish I had another one…hint hint” and hoped for the best (or at the very least, someone to take my hint seriously). A day passed, and nothing, another day passed, and still nothing. The most I got was a reaction of “Wow you have a personalized tumbler?” and that was it. 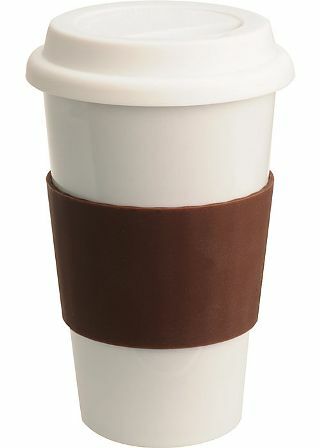 I thought to myself, “Oh well, I guess I’ll get another tumbler for myself the next time I go for a cup of joe or earl”. I gasped in disbelief “Oh my God” came out of my mouth followed by “Did you know I actually wrote on FB and Twitter that I wanted another tumbler?” to which my friend’s eyes widened and said “Oh no way!” and she laughed “and you know I don’t go on Facebook!” there are no coincidences, really. I hugged her…what a way for the Universe to answer my hint! Big time. Use and re-use me please! I haven’t seen any yet in retail stores (but I haven’t really been looking) I did find a couple for sale on the sulit.com.ph website 🙂 Hope you find one!